What Is a Bayesian Optimization Output Function? An output function is a function that is called at the end of every iteration of bayesopt. An output function can halt iterations. It can also create plots, save information to your workspace or to a file, or perform any other calculation you like. Other than halting the iterations, output functions cannot change the course of a Bayesian optimization. They simply monitor the progress of the optimization. These built-in output functions save your optimization results to a file or to the workspace. @assignInBase — Saves your results after each iteration to a variable named 'BayesoptResults' in your workspace. To choose a different name, pass the SaveVariableName name-value pair. @saveToFile — Saves your results after each iteration to a file named 'BayesoptResults.mat' in your current folder. To choose a different name or folder, pass the SaveFileName name-value pair. bayesopt passes the results and state variables to your function. Your function returns stop, which you set to true to halt the iterations, or to false to allow the iterations to continue. results is an object of class BayesianOptimization. results contains the available information on the computations so far. 'initial' — bayesopt is about to start iterating. 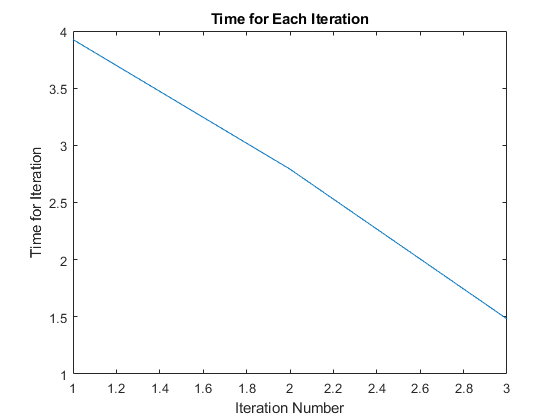 'iteration' — bayesopt just finished an iteration. 'done' — bayesopt just finished its final iteration. For an example, see Bayesian Optimization Output Function. This example shows how to use a custom output function with Bayesian optimization. The output function halts the optimization when the objective function, which is the cross-validation error rate, drops below 13%. The output function also plots the time for each iteration. 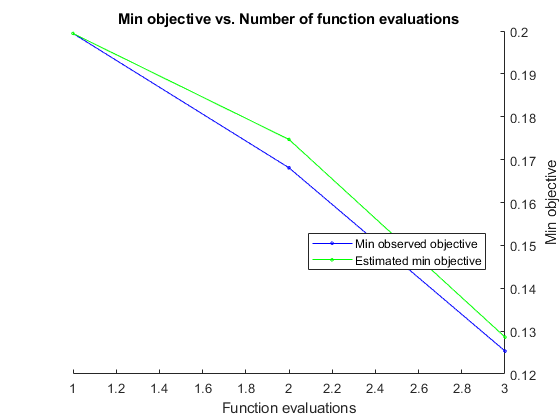 The objective function is the cross validation loss of the KNN classification of the ionosphere data. Load the data and, for reproducibility, set the default random stream. 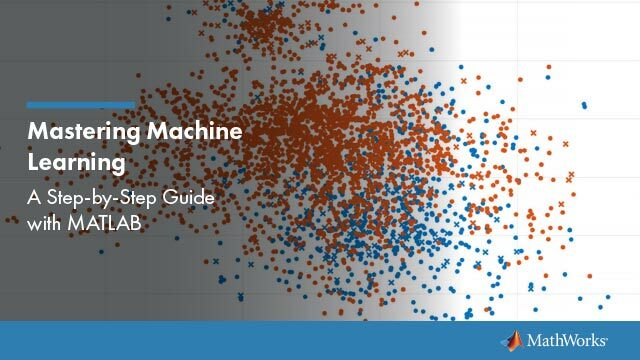 Optimize over neighborhood size from 1 through 30, and for three distance metrics. 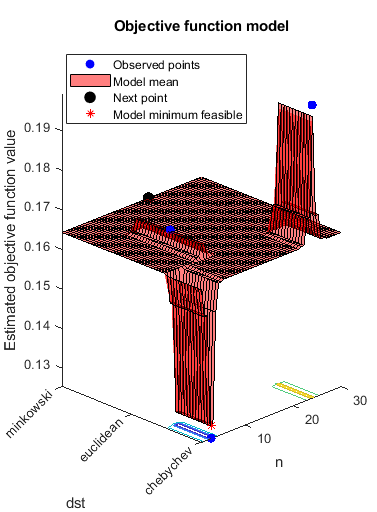 Set the cross-validation partition and objective function. For reproducibility, set the AcquisitionFunctionName to 'expected-improvement-plus'. Run the optimization. Total elapsed time: 11.892 seconds.